Q: Is it possible to create bookmarks with PDF Studio? 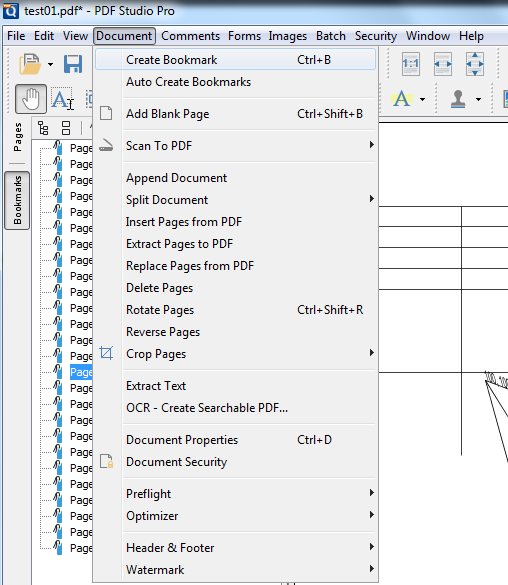 A: Yes, PDF Studio is able to create bookmarks in PDF documents. 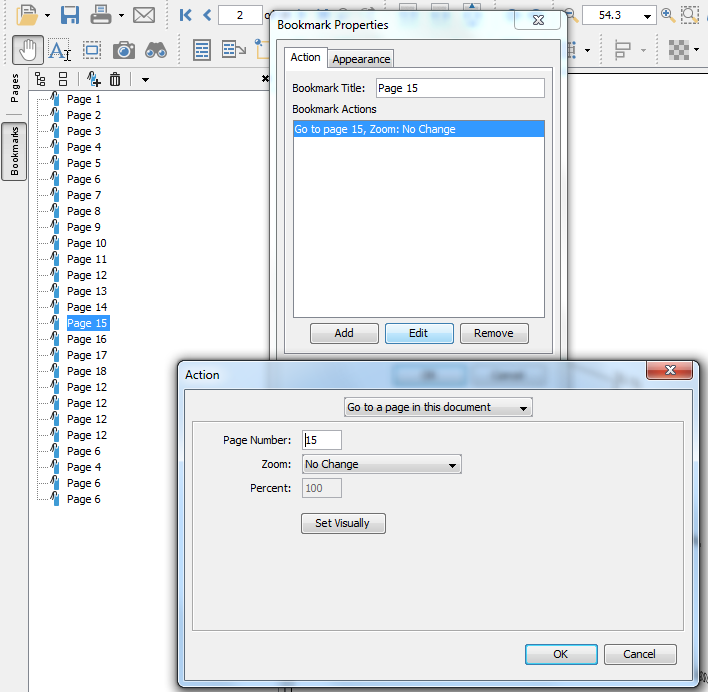 Please see below for a list of the following ways to create bookmarks using PDF Studio. From Selected Page: Select a page from page panel and press Ctrl + B on your keyboard. A bookmark will be created corresponding to that page. From Selected Text: Using the text selection tool highlight some text and press Ctrl + B on your keyboard. A new bookmark will be created corresponding to that page using the highlighted text as the name. Select a page that you need to create book mark. Navigate to the page you need a bookmark: Click the “+” icon to add bookmark. You could create bookmarks for all pages or specific page ranges in the document by going to Document -> Auto Create Bookmark. Right click on a bookmark from Bookmarks panel -> select Set Destination: The Bookmark will be updated to current selected page. You could also right click on a bookmark -> select Properties and click Edit to input new page number.